A student newspaper – set up by Nottingham Trent University graduate Chris Moss – has signed a deal with a major publisher to expand to 30 cities across the UK. The University Paper – which was launched with the support of the University's centre for enterprise and entrepreneurship, The Hive – has signed an agreement with Simian Publishing. The deal will enable The University Paper to expand to 16 cities by 22 September, with plans for a further 14 by January 2015, taking its overall circulation to 1.2 million. 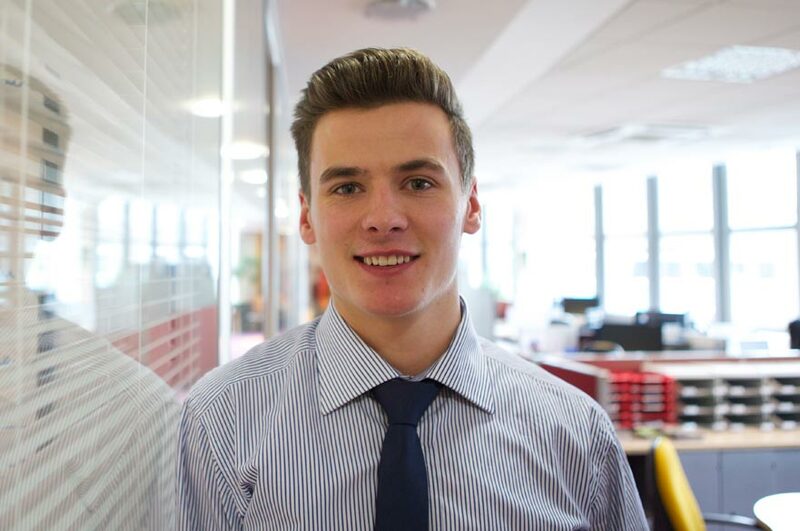 Chris, 22, who graduated two months ago from Nottingham Business School with a 2:1 (Hons) in Business Management and Marketing, will continue to oversee The University Paper while developing plans for its website. "It's incredibly exciting," says Chris, who recently opened an office in London. "I always had plans to grow The University Paper as a business, but I never dreamed of anything as big as this." A monthly publication, The University Paper will feature 20 pages of national content and 20 pages of local content for each city represents. A team of sales staff in London will market advertising opportunities to media agencies and national companies, while local sales forces will sell adverts directly to companies in their individual areas. Rich Clayton, creative director of Simian Publishing, said: "The University Paper is a terrific opportunity for us as a publisher to communicate with such a diverse and dynamic audience. "The opportunity that Chris presented to us, both in the publication and himself, was thrilling for us and we look forward to building on these strong foundations and providing a true, accountable voice for Britain's vibrant student community." The newspaper will be handed out on campuses, delivered to student houses and halls of residences, stocked in participating outlets and placed in distribution bins. Chris Hall, business manager of The Hive, said: "This is a major deal for The University Paper and it shows just how successful young entrepreneurs can be when given the right support and backing. "We're tremendously excited for Chris and hope that this venture will now help him take his business to the next level. "With a base remaining in The Hive, we will, of course, continue to provide him with our support and help him develop the business further." From 22 September, The University Paper will be available in Swansea, Cardiff, Bath, Bristol, Birmingham, Coventry and Warwick, Liverpool, Leeds, Manchester, Sheffield, Leicester, Preston, Newcastle, Glasgow and Edinburgh. This is in addition to Nottingham and Bristol where it is already distributed. From January it is planned to be available in York, Southampton, Portsmouth, Aberdeen, Plymouth, Brighton, Kent, London, Oxford, Cambridge, Middlesex and Hatfield.